Called My Workspace, the free product was a creation of Microsoft Garage, an outlet for experimental projects at the Redmond, Wash., software giant. It's also the first Garage project ever built for Apple's Mac platform, developed over four months by a team of interns in Vancouver, B.C. The tool is customizable, so users can quickly view the information that is most important to them. It also has deep integration with Microsoft apps and services, making it easy to address tasks from one place on the Mac toolbar. A calendar events section allows users to RSVP to events, or even launch Skype to join a call that has been scheduled. The toolbar also includes a list of recent files, which can be quickly launched from OneDrive, or pinned so they're always easily accessible. My Workspace also offers one-click shareable links, making it easier to collaborate on documents within Office 365. Finally, the tool also includes access to Office 365 account settings with a single click, giving users the ability to manage their account directly from the macOS desktop. 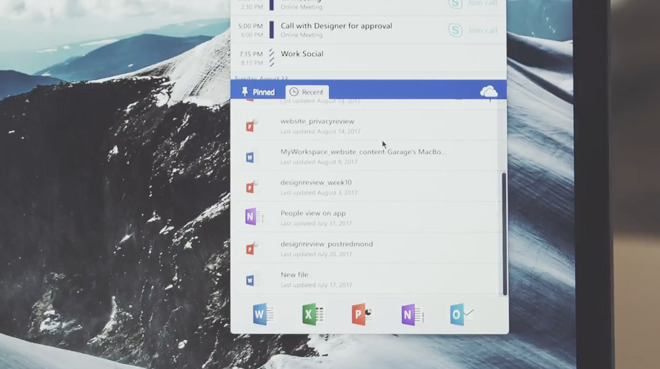 The app can also be used to launch Office 365 applications Outlook, Excel, Word, PowerPoint, and OneNote. 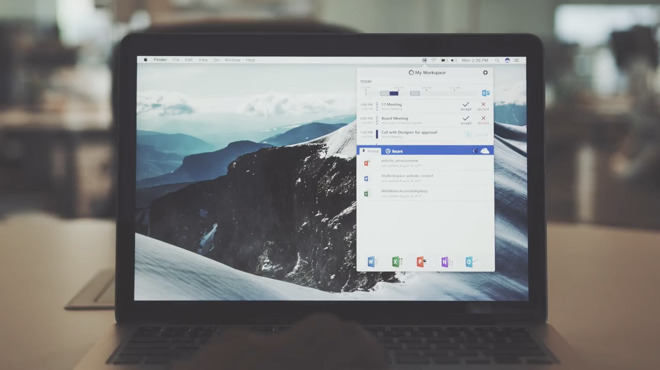 "There is nothing like this on the Mac platform for the Office 365 suite," said Grace Lam, an intern who worked on the Garage project. "The team is excited to see the results of the experiment."